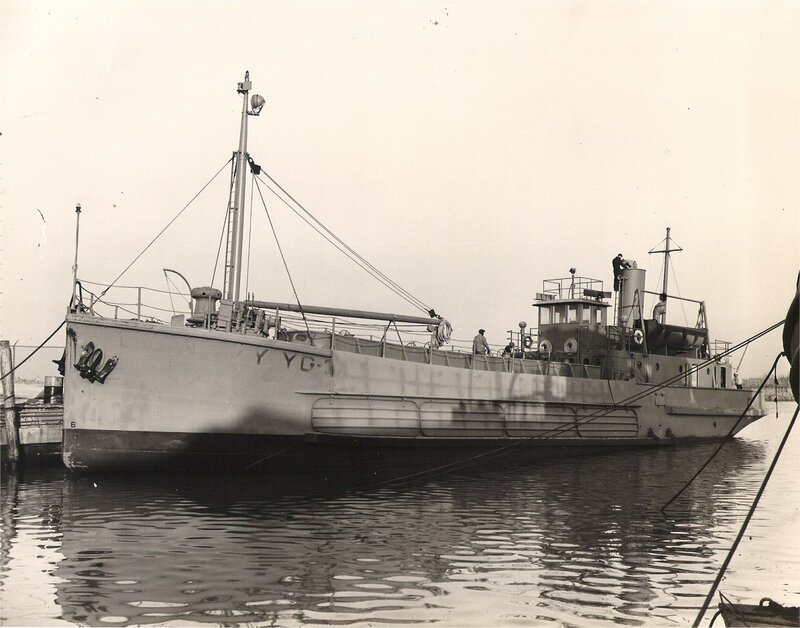 Allocated to the Eleventh Naval District at San Diego, 1944 - ??? 290k YG-34 in the final stages of fitting out during 1943-44 at Gulfport Boiler and Welding Works, Port Arthur, TX. 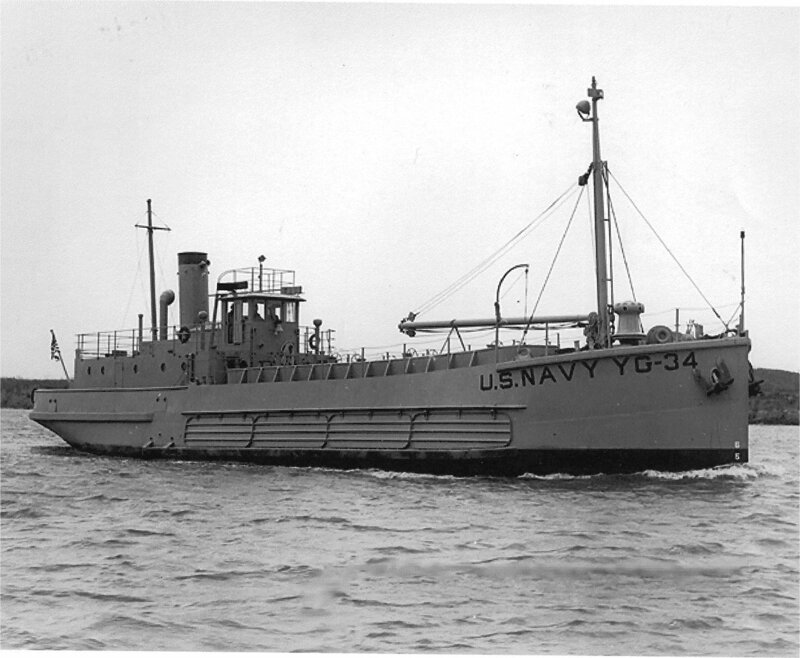 282k YG-34 underway, probably during acceptance trials in 1944 near Port Arthur, TX. 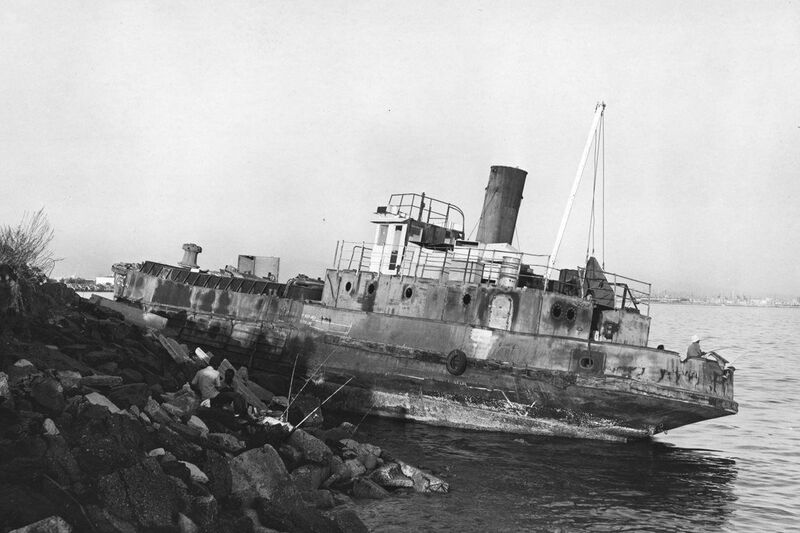 131k Hulk of YG-34 on 08 December 1974, after blowing ashore at Terminal Island, CA, four days earlier. Note the fisherman on the stern taking advantage of the situation.